News - What's New With VLTC - Stay In-The-Know - Valley Land Title Co.
Posted on at 08:24 PM. Written by Valley Land Title Co. The WOW!! AWARD recognizes outstanding customer service and for going above and beyond!!! The following TEAM members were presented the WOW!! Award for June & July at the VLTC Quarterly Team Meeting. 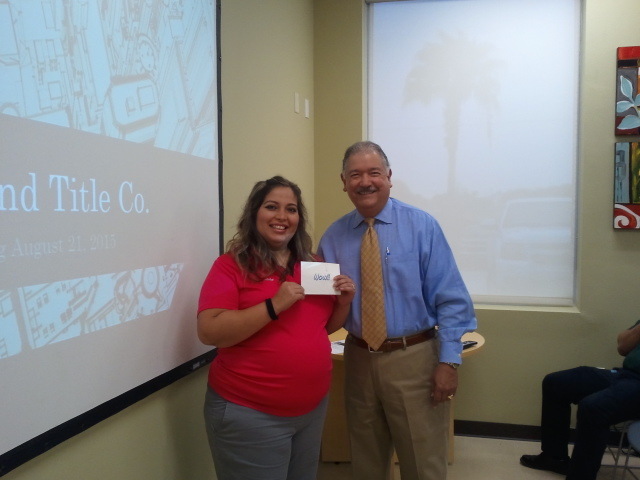 Congratulations to Tana Salinas, Escrow Officer-McAllen (June) and Abby Reyna, Mission Branch Manager (July). THANK YOU for WOWing our Customers!!! !